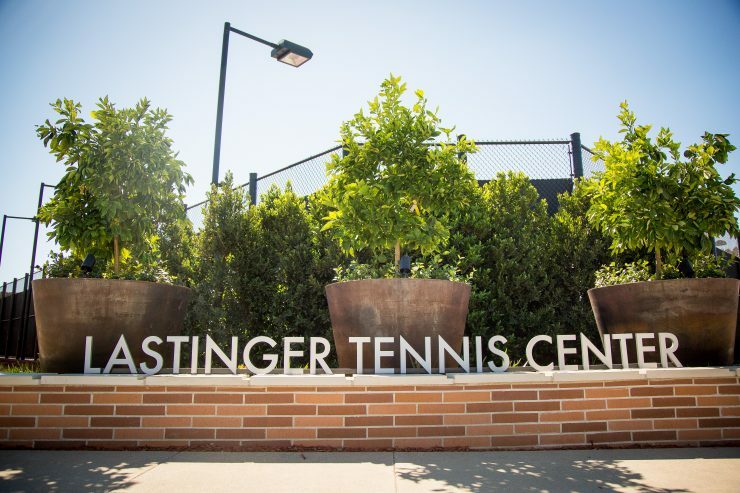 Smashing Success – The new Lastinger Tennis Center quickly wins the hearts of Chapman’s coach and players. The new Lastinger Tennis Center quickly wins the hearts of Chapman’s coach and players. 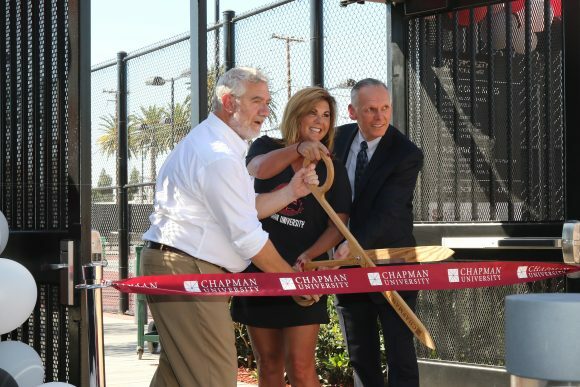 For two years, Chapman University’s intercollegiate tennis players were vagabonds, practicing and playing as far as 12 miles from campus as they awaited construction of the new Erin J. Lastinger Tennis Center at the corner of Cypress Street and Palm Avenue. The wait was richly rewarded when the stylish new $6 million facility opened in the fall. Chapman’s former four-court facility was torn down to make way for construction of the new Keck Center for Science and Engineering on the Orange campus. The Lastinger Tennis Center has seven courts designed in Chapman cardinal and gray, as well as a players’ lounge, men’s and women’s locker rooms, an impressive scoreboard and shaded seating for spectators. Chapman tennis has enjoyed glory days before. In the 1980s, the Panther men’s team won three NCAA Division II national titles under then-coach Mike Edles before the University transitioned to Division III in 1994. Coached by Will Marino since the 2000 season, the men were ranked as high as No. 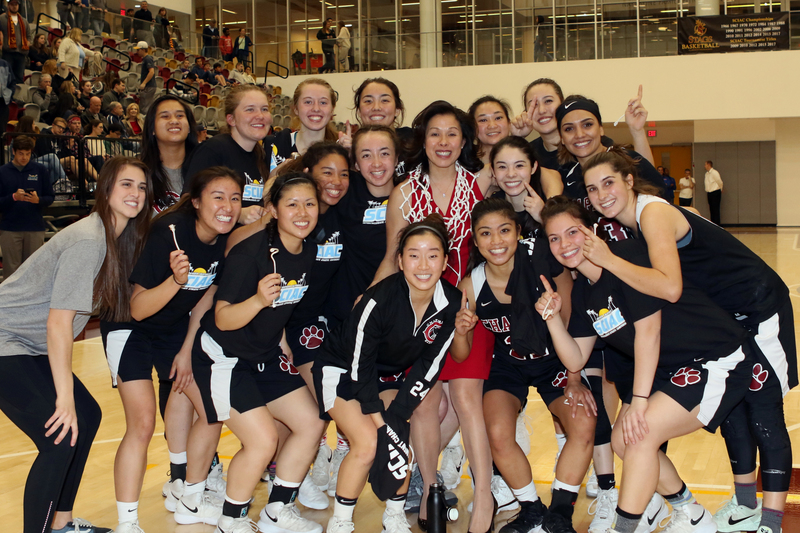 22 in the nation in 2005, and the women consistently were ranked in the top 25 from 2007 to 2014, climbing as high as No. 12 in 2010. However, the teams lost players during the two years without a campus facility. 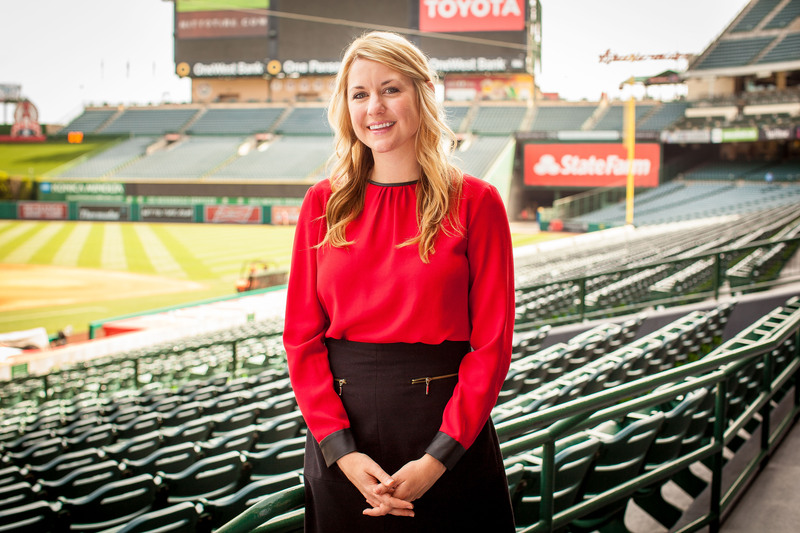 The women’s last winning season was 2014, and for the men, it was 2015. “Before we were pulled off campus, we were good, but we couldn’t get over the hump,” says Marino. The current players love the new facility, which is also being used for tennis classes and recreational play. 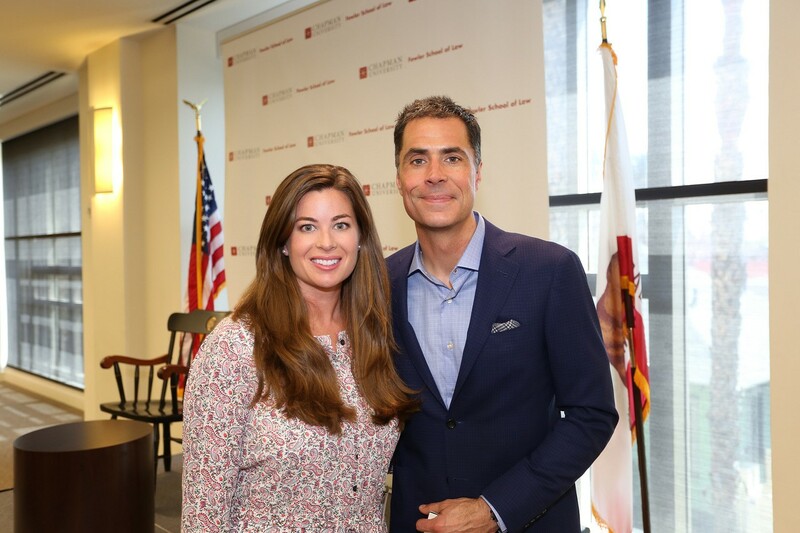 Recruiting new players is suddenly easy, Marino says. “What do you think? It’s awesome. It pretty much sells itself when they walk in,” he says. The coach expects to see progress in the teams’ records. Harrison Bojalad ’21, a freshman on the men’s team, looks forward to the next four seasons at Lastinger.